Our Annual Conference, ‘Get Real: Real People, Real Communities, Real Health’, took place on the 16th November 2017 at the Radisson Blu Hotel in Glasgow. 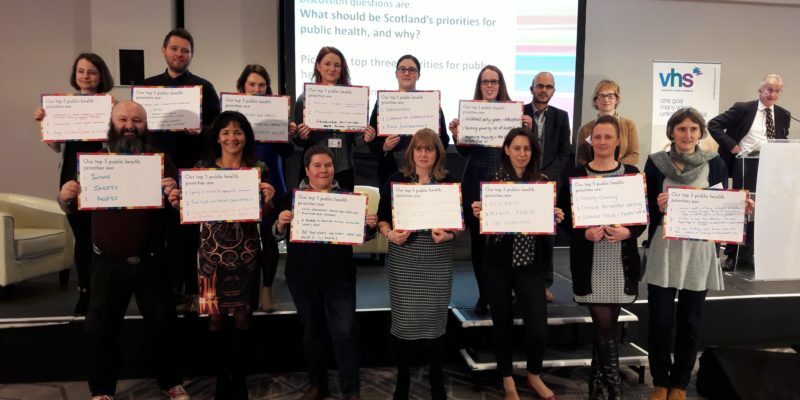 The aim of our annual conference was to ‘Get Real’ about health in Scotland and explore the big themes around the progress of transforming Prevention, Public Health and Health and Social Care Delivery. How real people and real communities are providing imaginative solutions to complex health issues, and ask if we are paying attention? How public, third and community sectors are forging more opportunities to work together as leaders, collaborators and innovators. How we can realistically address the underlying socio-economic causes of health inequalities. How we can we really get real about health in Scotland? See some of the photo booth pictures from the day! Find out more about CJC Media and their photo booth.